The Frontier sets a new standard for stability in a kayak. So don’t just stand, walk & fish with confidence on the 20″ wide Cast & Blast Deck. Face the action and easily access your gear with 360 degree mobility. The Frontier’s versatile and customizable design puts you in control. Go solo in style or tandem with room to spare. Position seats where you want, and outfit the Frontier just how you like with the 172″ of Freedom Track. 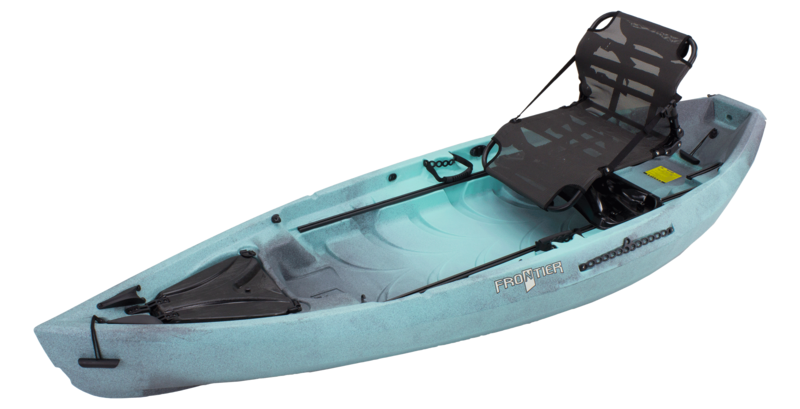 Surprisingly easy to paddle and completely comfortable, the Frontier knows no limits.